The Fantasy Springs Resort and Casino played host to this Golden Boy & Cotto Promotions fight card on this very warm but dry Saturday evening. The fights were eagerly anticipated by the sold out crowd that came to support this event as the match ups included fighters from Mexico and Puerto Rico, which always creates fireworks. The main event featured Victorville’s own Ryan “KingRy” Garcia (17-0) going up against Jose Lopez (20-3-1) from Puerto Rico. In his last outing, Garcia showcased his talents at the Madison Square Garden where he fought Braulio Rodriguez and scored a fifth round knockout. 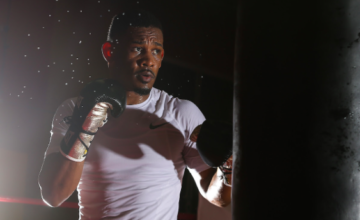 “KingRy” is looking to make a big splash in hopes of moving up in the lightweight rankings and securing a spot on the Canelo vs. Jacobs card in Vegas. After only two fights in 2018, Jose Lopez looked to rebound from a TKO loss to Jonathan Oquendo back in October of last year. With twenty-four fights as a pro at the young age of twenty-five, Lopez was looking to be a good test for the young Garcia in the lightweight division. Here is how tonight’s fights unfolded. Ryan Garcia came into this one as the clear favorite but the roar he received when he walked in was unreal. In the first round, he used his speed and distance to dictate the fight while depositing some really good left and right hooks to the body. Towards the end of the first round, it was a flurry of left and right hooks that sent Lopez to the canvas. In the second, Garcia poured it on sensing that he had Lopez ready for the knockout. The knockdown came in the second round and the referee stopped the bout as Lopez could not continue. Ryan Garcia wins by second round knockout. Angel Acosta makes promoter Miguel Cotto proud again. ..enough, you quickly realize that he has a methodical approach which tends to lead to a mid to late stoppage most of the time. In the first four rounds, Acosta was working his counter straight right hand while Lopez was being slippery in other exchanges avoiding anything hard. Acosta then used his feints and counters more and more which led to a huge overhand left hook in the eighth that sent Lopez to the canvas. The referee saw enough and your winner is Angel “Tito” Acosta by knockout. There were plenty of whispers pre-fight that Rocky Hernandez was the real deal. On his first GBP fight, Rocky showed good ring awareness and defense in round one. In the second round, he landed a crushing left hook that rocked Class and followed it with a straight right hand which put his opponent on the canvas for the first time in the fight. After Class got up, Rocky landed a right uppercut that sent Class to the canvas once again which led to the referee stopping the fight. Rocky Hernandez wins by second round knockout and has immediately gained the attention of the boxing world. There is a lot to like about the young Aaron Mckenna. He is tall and long which will pose a threat to his opponents now and in the future. In the first round, he was consistently leading with the left jab which set up the straight right hand down the middle. It was this combination that sent Olivas to the canvas in the first round. Rounds two through six was more of McKenna but he added a vicious left hook to the body which had Olivas throwing weak punches and really not having any answers to the onslaught. The fight went to the scorecards and all three judges saw this one 60-53 for McKenna for the unanimous decision victory. Zorilla who is a Cotto Promotions blue-chip prospect, showed the boxing world exactly why he is just that and has a bright future. In the first round, it was a left hook to the head that sent Diaz to the canvas immediately. 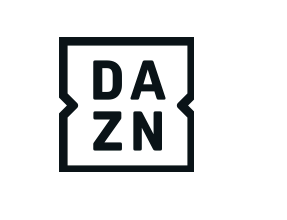 Diaz survived the first round but in the second, Zorilla came right back and floored his opponent with the same left hook but this time, Diaz didn’t get up. Zorilla wins by second round knockout and is slowly developing into a star. Joet Gonzalez came in tonight to show everyone he is ready for a title shot and did he ever. In the first round, it was a combination of a right uppercut, left hook to the head then body that sent Guerrero to the canvas while also busting up his nose. Guerrero kept stretching his face as if the nose was possibly broken. In rounds two through three, Gonzalez kept the pressure as his hard shots were breaking Guerrero down. In round four, Joet scored another knockdown with a hard left hook to the body. In the fifth round, more relentless pressure by Gonzalez led to the referee calling a halt to the action. Joet Gonzalez wins by TKO in the fifth. After going 12 rounds with the champion Jose Ramirez, Antonio Orozco was right back in the ring opening for this GoldenBoy Promotions event. Orozco early on was clipping Rodriguez by moving up and under then landing the left hook. Rounds three through six, Orozco was working the body which was working as Rodriguez started to step back and take deeper breaths each and every time. In round seven, Rodriguez landed a huge straight right hand that stunned the very game Orozco. Rodriguez came back again in the ninth with that same right hand which landed three straight times. In the end, it was too little and too late for Rodriguez as Orozco won by unanimous decision with the scorecards reading 99-91, 97-93 & 97-93. 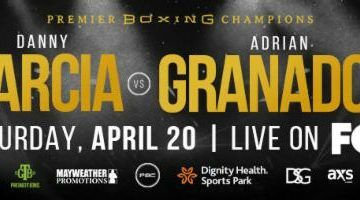 Whether you like it or not, Ryan Garcia is a star… He continues to be a major ticket seller for Golden Boy Promotions and clearly the future of the company. 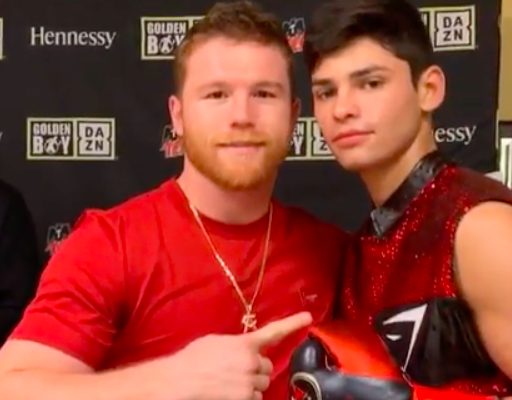 Aside from that, if you’re Miguel Cotto, you have to be excited about what you see in Angel Acosta and Danielito Zorilla as they are the future of his company. 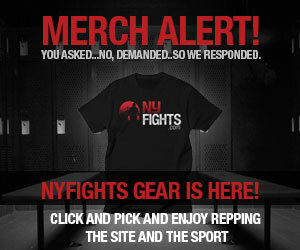 Visit Nyfights.com on Monday to see if any of these fighters will make the prestigious “Who Won the Weekend” article that the team puts together each week! Born & raised in the Bronx (NYC), Abe grew up with a family who were & still are, die hard boxing fans! Abe started contributing to boxing articles in 2017 and has now started a series of club show pieces which allows fans to see who is next on the horizon. Abe appreciates all styles of boxing and has been a big supporter of women in boxing. Abe can be found on twitter @abeg718.